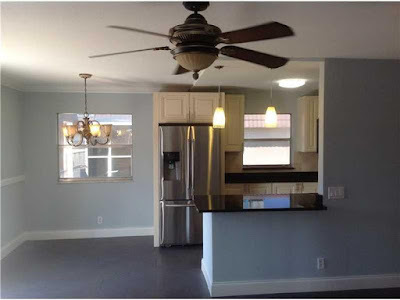 Florida Real Estate: Completely Renovated 2 Bedroom 2 Bath Apartment in Senior Community! Completely Renovated 2 Bedroom 2 Bath Apartment in Senior Community! Newly renovated two bedroom apartment located at 372 Brittany H in Delray Beach a senior community that tends to two bedrooms and 2 bathrooms. The kitchen has been entirely updated and now has brand new stainless steel appliances and custom cabinetry. Outside the complex hosts an outdoor pool and spa and an indoor lap pool. Though if swimming is not your forte, this community features a lot of benefits for the home owners to take advantage of, such as, shuffle board, tennis, golf and a theater with weekly entertainment. To get more information on 372 Brittany H here in Delray Beach, please contact one of our dedicated Distinct Estates agents who will be glad to show you homes in Kings Point or in other parts of South Florida. This Kings Point - Listing Courtesy of: Distinct Estates LLC. Cardinals and Marlins Spring Training in Abacoa! The Honda Classic- Celebrating 45 years!